People sometimes ask us how we decide where we’re going. In the case of our January trip to Costa Rica, the motivation was an airfare credit with JetBlue that just had to be spent before November. As it turns out, I needed to have a crown replaced and since we had to go somewhere, we thought we’d try Costa Rica for dentistry which I’d heard was excellent and inexpensive. A web fare for JetBlue from Florida to Costa Rica might be as low as $400 round trip. Yes, that means that the cost of an airline ticket plus the crown is less than half the price of the same crown in the United States. Still don’t think the medical system in the US is completely broken? I have more. Doctors recommend that everyone get a colonoscopy at age 50 and then ten years later if the first one is clean. A colonoscopy in the US costs around $4,000. Under Obamacare, medical insurance is supposed to provide a free one at the recommended interval. 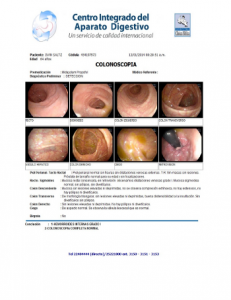 I scheduled my regular diagnostic colonoscopy when we were still living in Fort Lauderdale. The doctor, who was an hour and a half behind schedule and talking on his cell phone in the procedure room, couldn’t finish the operation. This, after horrible preparation2 and wasting the greater part of the day at the hospital. He had no excuse; just said that the instrument would only go about ten percent of the way. Then he tried to sell me a barium enema. Considering that the test wasn’t done, I tried to get another one from a different doctor. The insurance company claimed that since I’d already had one, I’d have to pay for the second one. Deena suggested I get my test done in Costa Rica because we were going there anyway. It seemed like less hassle than taking the insurance company to court. I scheduled a colonoscopy for our first week in Costa Rica. The receptionist didn’t speak much English but the doctor did. It was way more efficient. We walked over to the hospital endoscopy clinic in the morning and were out having a delicious coffee in two hours.3 They gave me a printed report with internal pictures, and were even nice enough to email me the pdf at my request since we’re now paperless. The cost of the procedure? $380.22 Yes, that’s right: You could fly to Costa Rica, be tested and have a five-star vacation with the remaining $3200 and still not spend as much as the US medical system would like you to pay. Holy Crap. (No pun intended)! I think you are on to something. We also just heard from Raoul who said that he’s been wondering for a long time whether my colon was clean, and not to argue on the other side of the fire! Keep laughing!! We’re looking forward to YOUR adventures. Coming soon, right? The cavity under the crown was the reason for replacement. Preparation for a colonoscopy consists of taking waaaay too much laxative. You know what happens next. If you’re wondering, my colon is as clean as a whistle. I assume that twenty years as a mostly vegetarian has had a positive effect. We all know interspecies romance is weird.